Kuala Lumpur, 29th March 2008: Well done, KL. The major landmarks and corporate headquarters shone through. 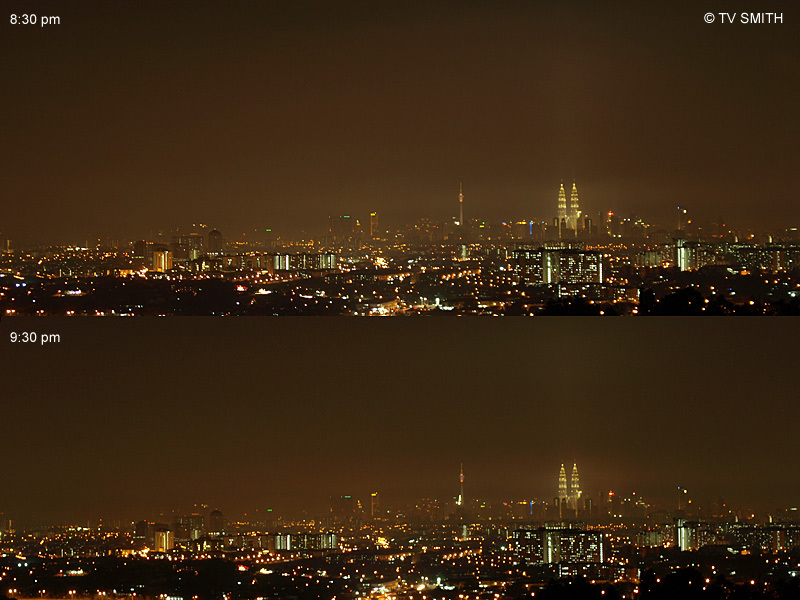 Earth Hour's symbolic but meaningful Global Blackout. For one hour (between 8pm to 9pm in Malaysia tonight), businesses and households turn off their lights and non-essential electrical appliances to promote energy conservation and lowering of carbon emissions.